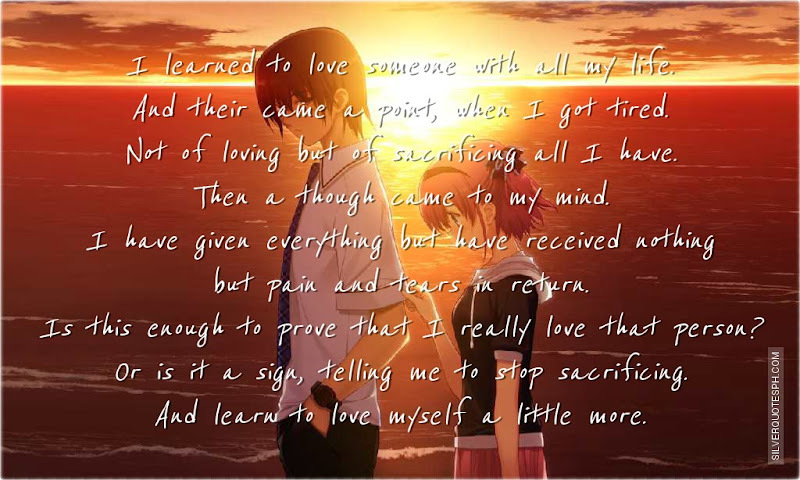 I learned to love someone with all my life. And their came a point, when I got tired. Not of loving but of sacrificing all I have. Then a though came to my mind. I have given everything but have received nothing but pain and tears in return. Is this enough to prove that I really love that person? Or is it a sign, telling me to stop sacrificing. And learn to love myself a little more.